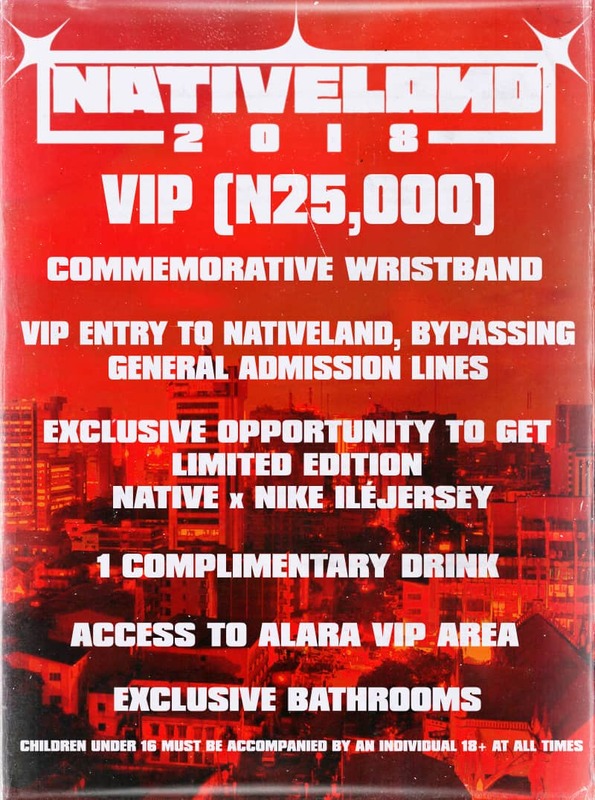 NATIVELAND is brought to you by the brains behind The NATIVE, the Africa-first culture platform for millennials. 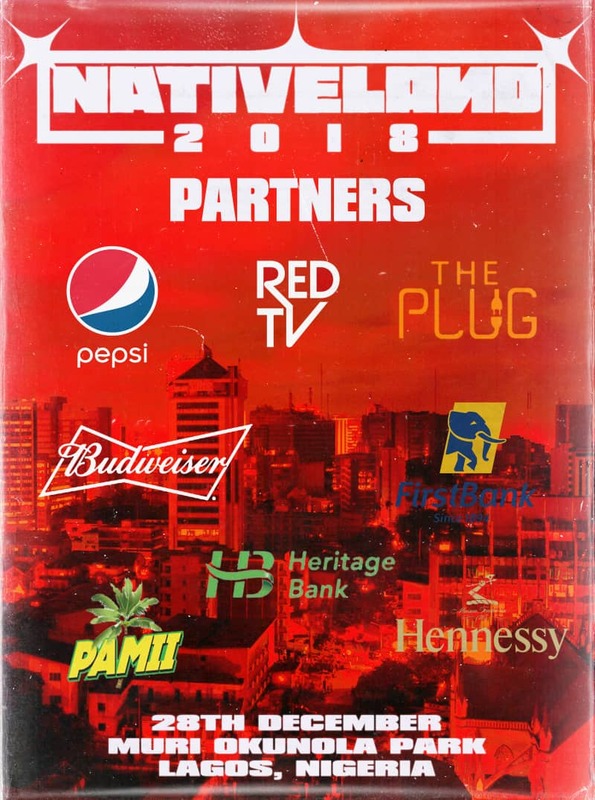 NATIVELAND brings the world of The NATIVE to real life – from showcasing the artists at the pulse of the culture across our stages, to a one-of-a-kind shopping opportunity with the most coveted clothing brands in the game, to an expertly curated list of food trucks and vendors. NATIVELAND brings our online communities to real life. 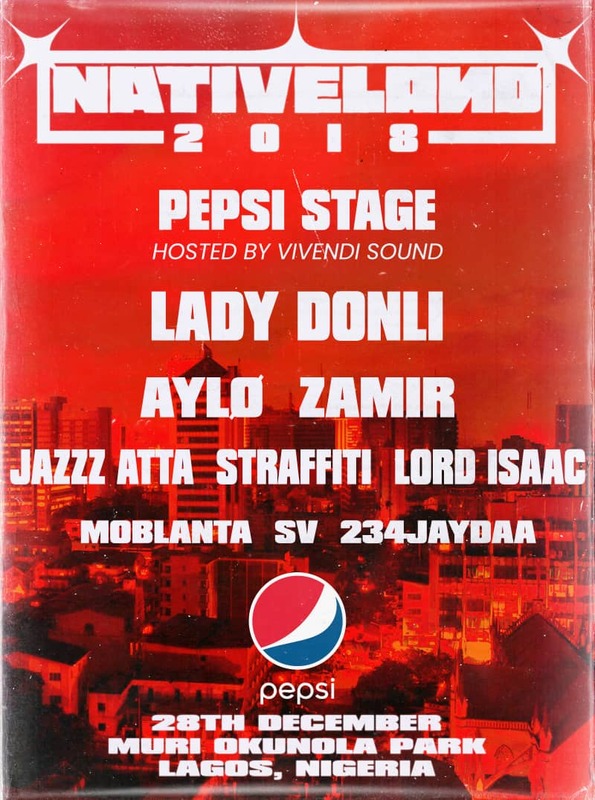 Our annual celebration of Nigerian Music. To purchase tickets online, please see this link, which will send your ticket straight to you. 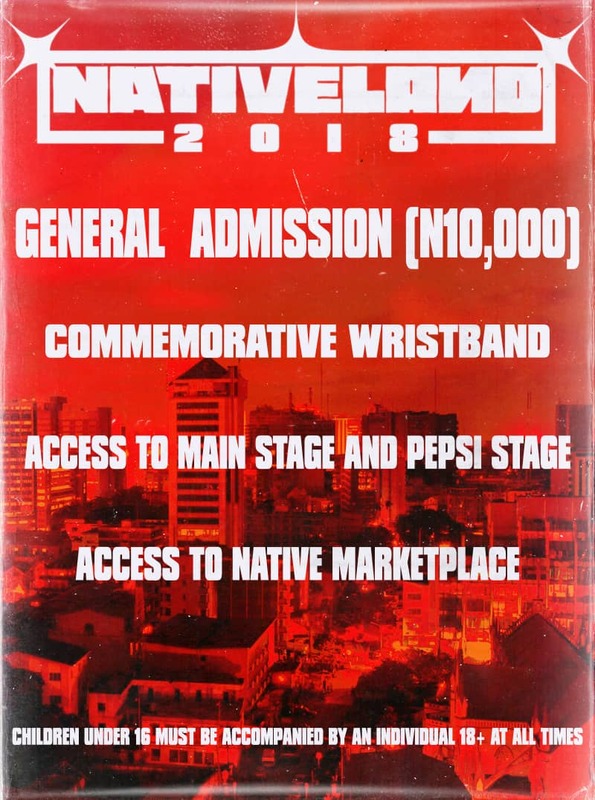 Alternatively, tickets can be bought at any of the vendors specified above. 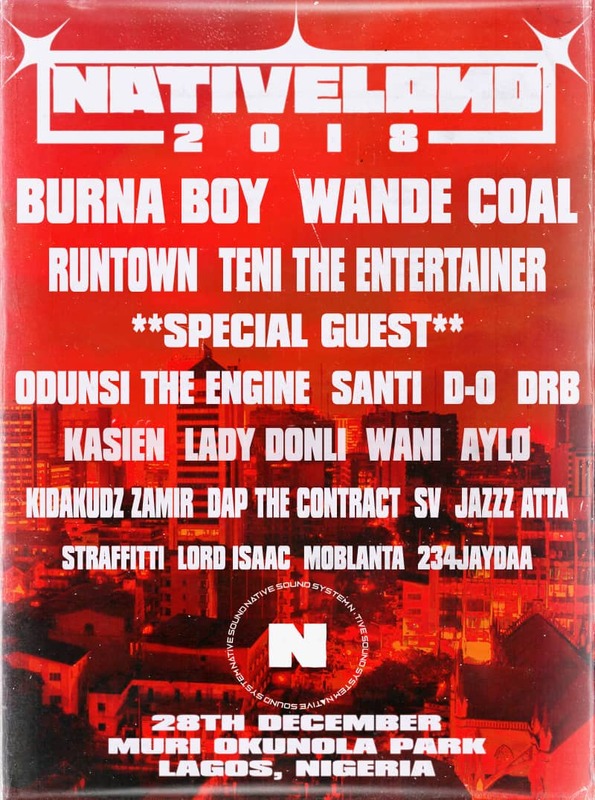 Please follow us on Twitter and Instagram for updates on all ticket vendors or call 08142878106 and 08104452196. Tickets are non-refundable. You will be charged full price if a replacement ticket is needed. Entry Ticket, Identification, Money/Cash Card, Clothing for all weather, Sun Protection Cream, Camera (pocket-sized only). We attract local, national and international press In purchasing this badge and in consideration for being admitted to the Event, the holder consents to being recorded (by audio, visual and/or other means) for exhibition and exploitation by any means in all media now known or hereafter devised worldwide in perpetuity. Holder also hereby: (1) releases NATIVE and NATIVELAND from any liability for loss or damage to persons or property, infringement of any right or any other claim or course of action of any kind; (2) authorizes and permits NATIVE, NATIVELAND and its designees which include but are not limited to all parents, affiliates, sponsors, exhibitors and contractors to use and authorize the use of his/her name, voice, likeness and all reproductions thereof by any means and in all media now and hereafter know for all purposes worldwide in perpetuity; and (3) agrees to comply with all rules and regulations of the event. Holder agrees not to make any recordings of any kind at designated activities without the express written permission of NATIVE and NATIVELAND. 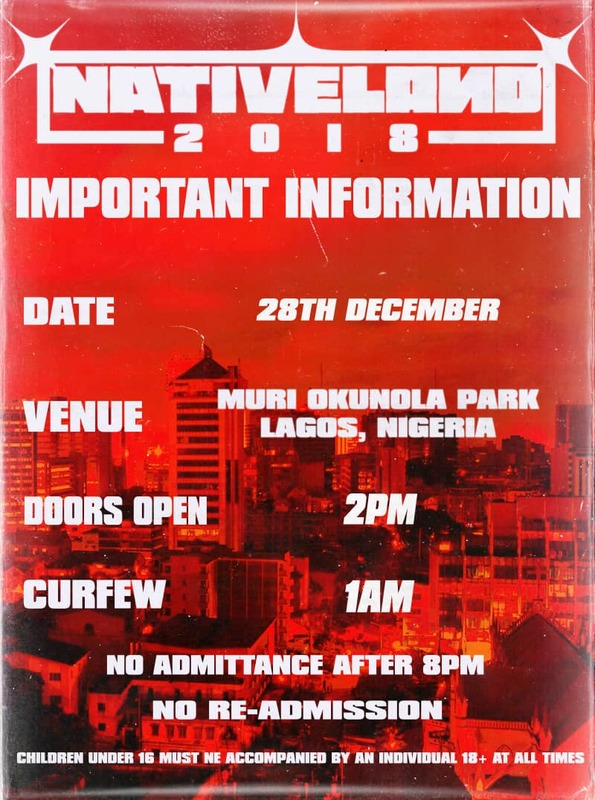 We reserve the right to deny entry or remove from the event facilities any person who in our sole and absolute discretion is behaving or threatening to behave in a manner which we reasonably consider to be disruptive of the event.